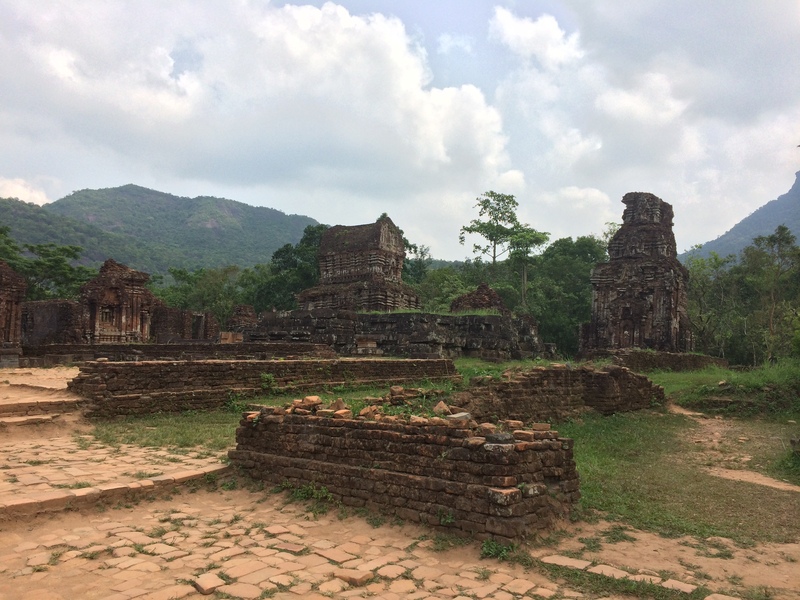 Two excursions we made while in Hoi An were a trip to the Silk Village (which was only 1 km away) and the Hindu ruins of Mỹ Sơn (43 km away). 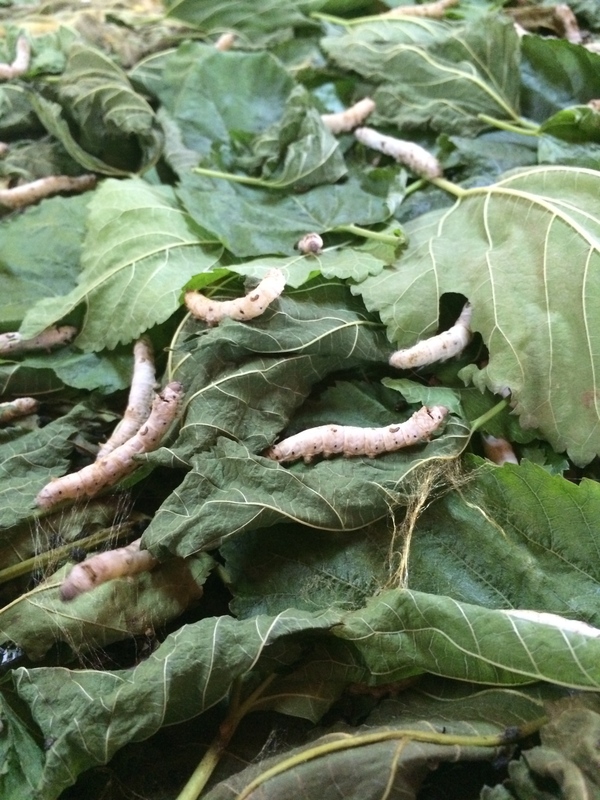 The Silk Village shed light on how silk worms are farmed and how silk is traditionally made. 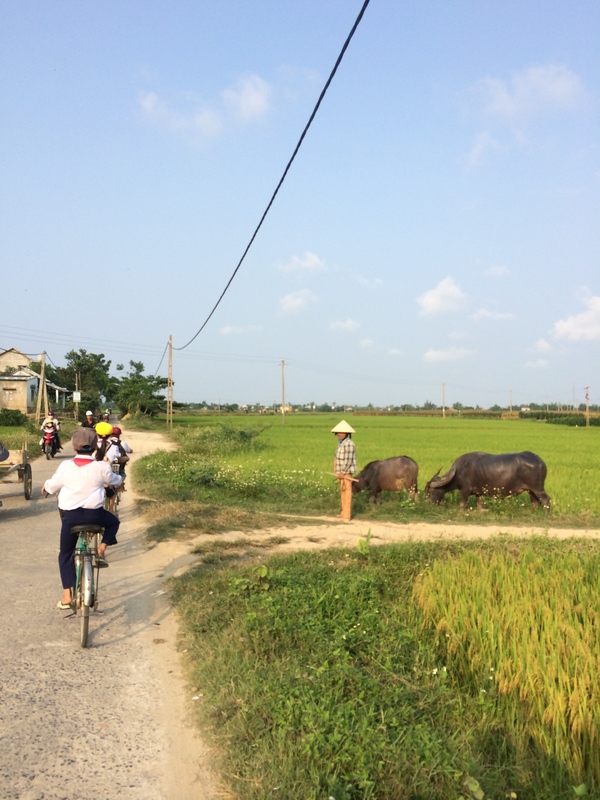 Since the Silk Village was only 1 km away, I found a local, dirt path near our hotel that led us to the village. 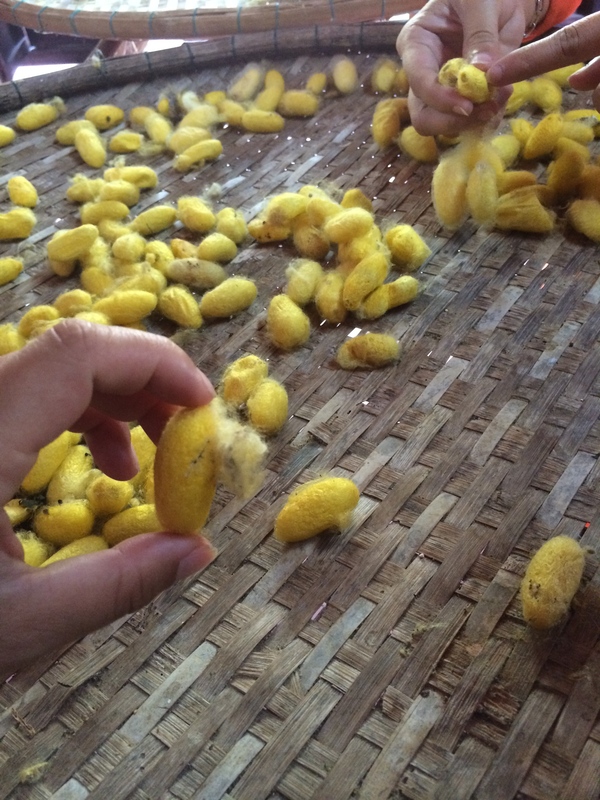 The fluffy yellow stuff IS silk! 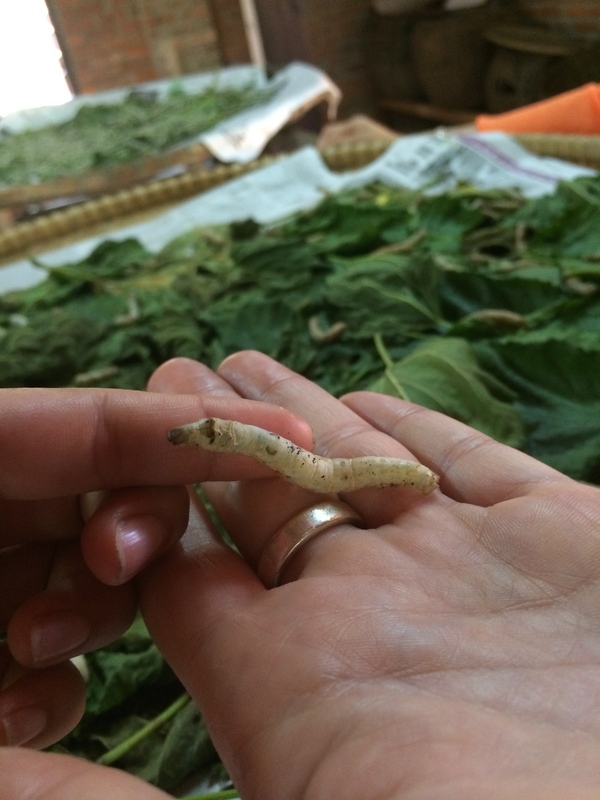 They later become threads of silk, which are spun onto a spool. 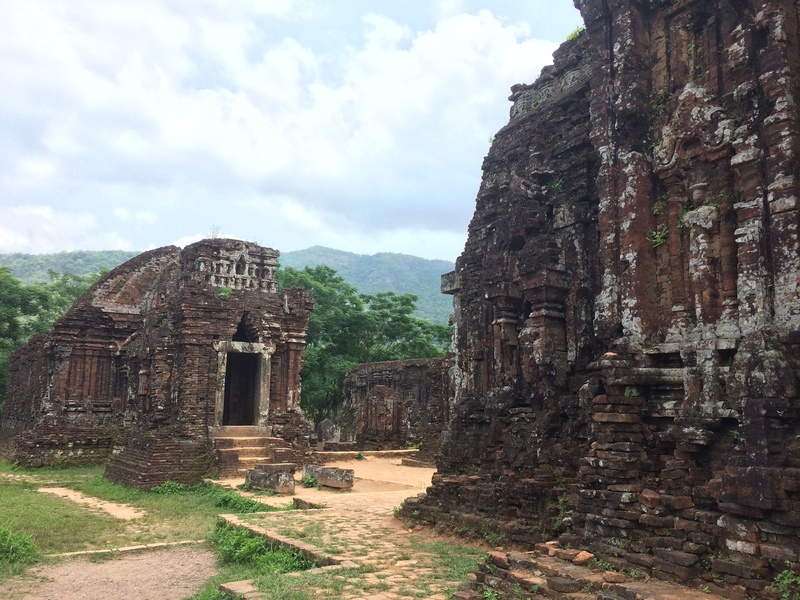 Not much more about silk, so on to the Mỹ Sơn ruins next. 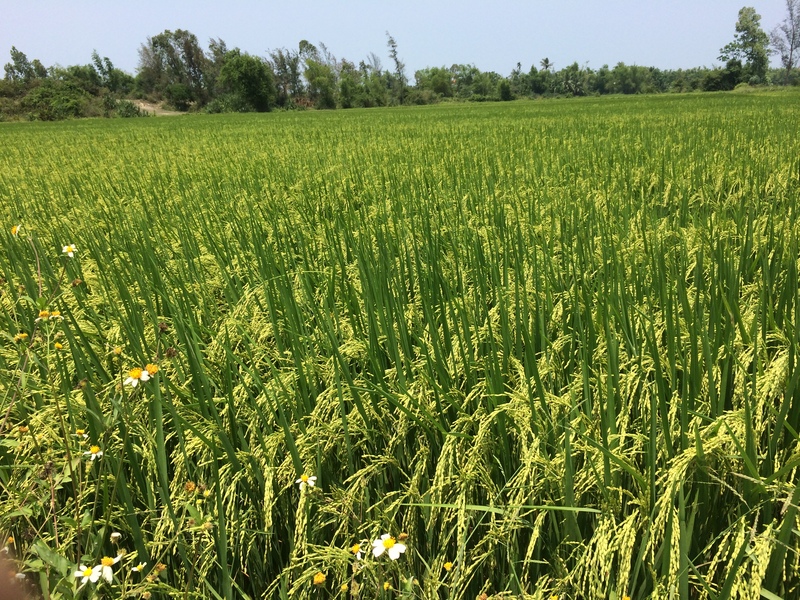 Today there are over 160,000 Cham people (primarily followers of Hindu) who live in Vietnam. 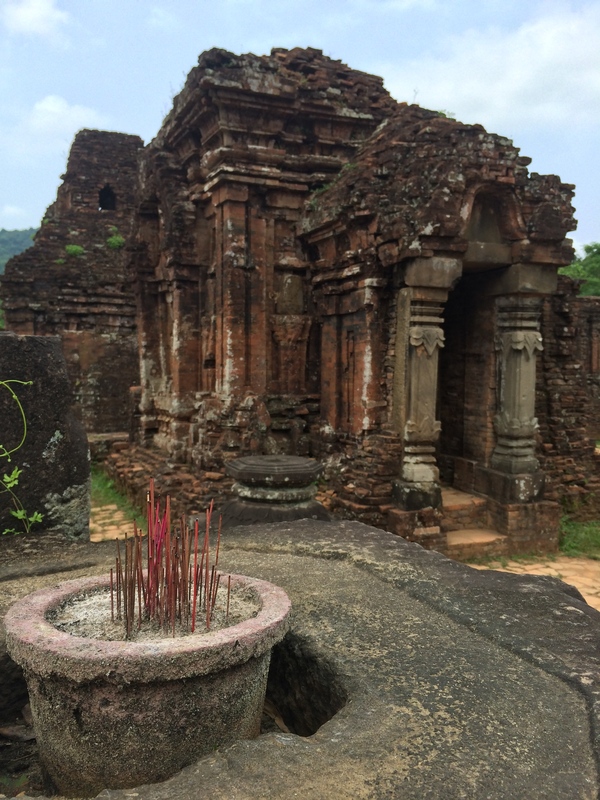 These temples were built in Mỹ Sơn by the Champas who ruled Central Vietnam from circa 200CE to circa 1700CE. 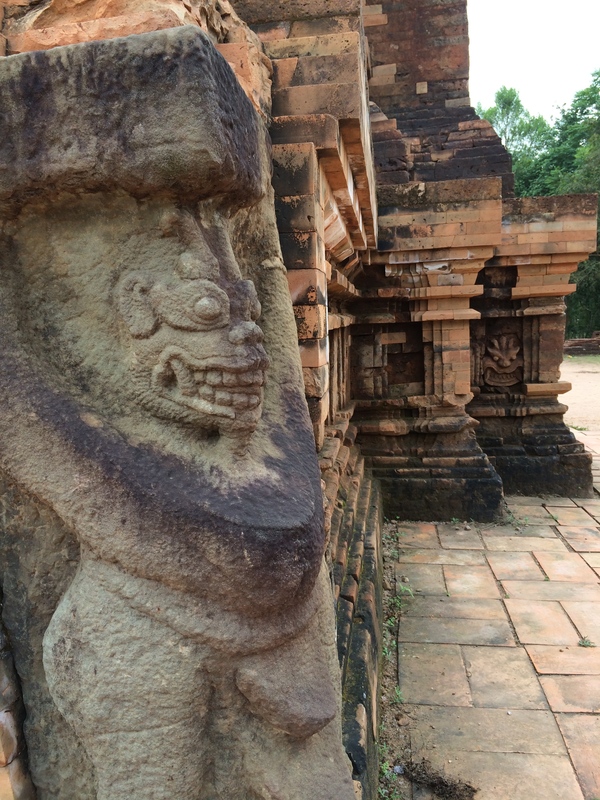 They were annexed by the Vietnamese in the 19th century, and the nearby jungles reclaimed the ancient temples. 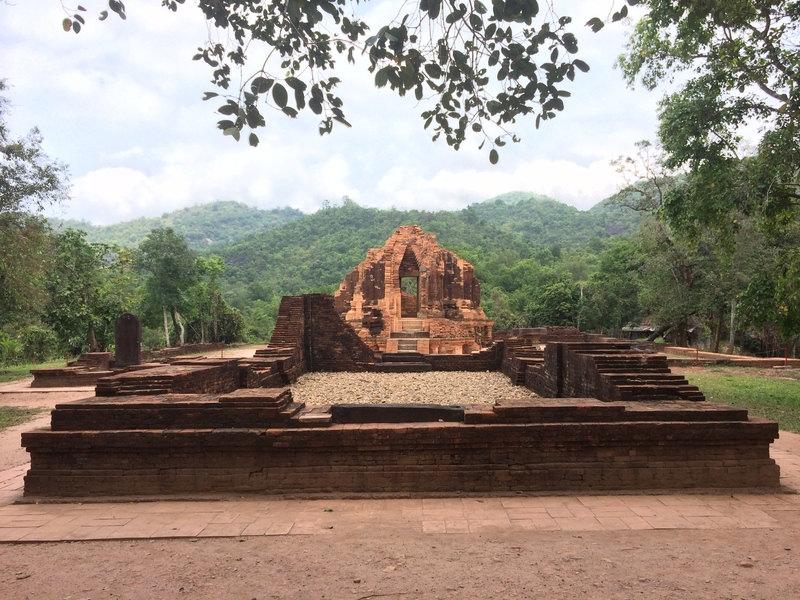 Sadly, the ruins became even more damaged during the war as the Viet Cong (who had no respect for Champa history and culture) used the ruins as a base. 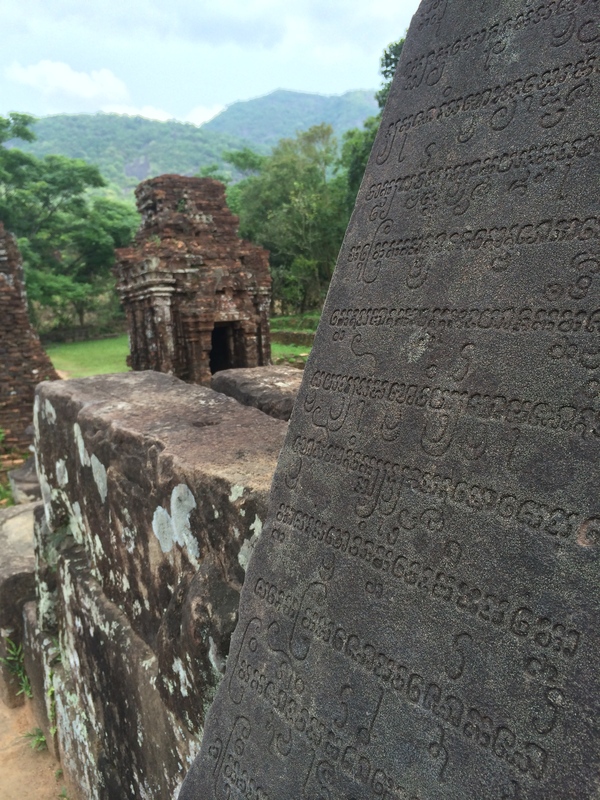 Being in Southeast Asia, the ruins are also poorly maintained. 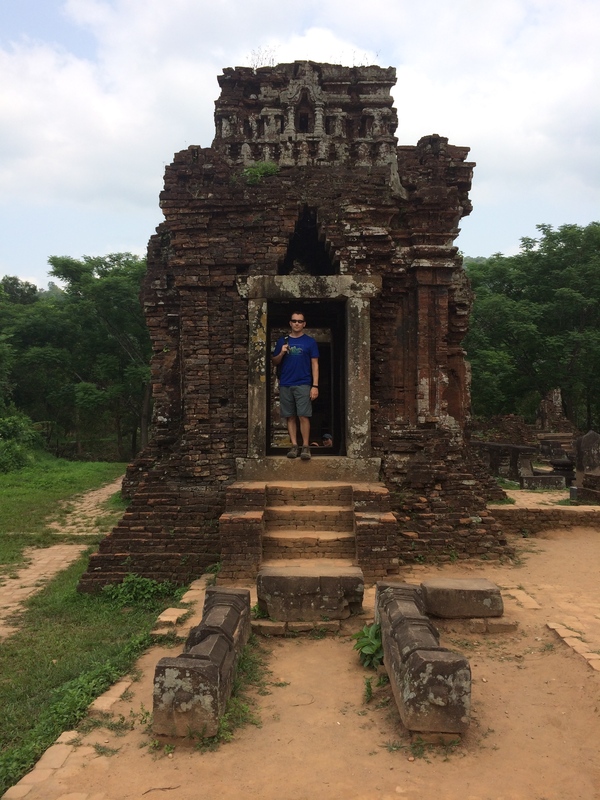 The ruins will be nothing compared to Angkor Wat (which we will see later) but the mini road trip out and back was fun, and the ruins were still beautiful and fascinating. 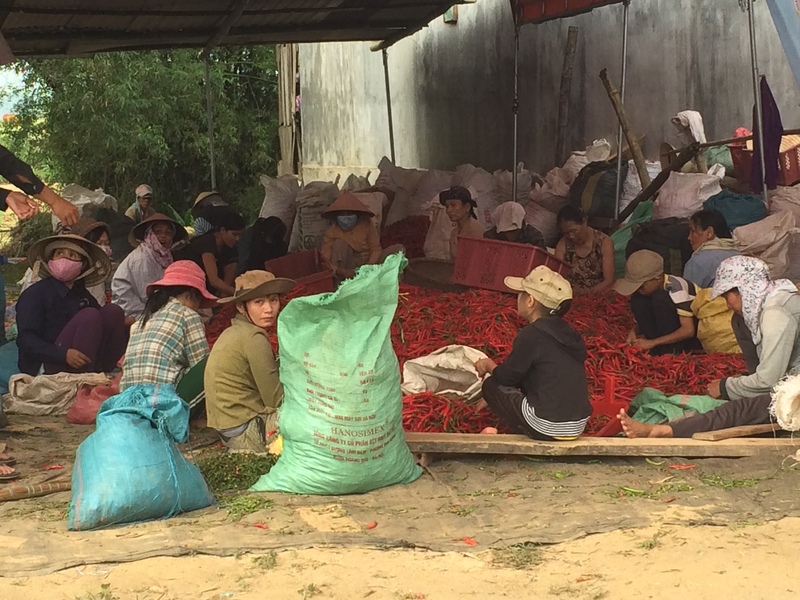 On our way back, we came across a bunch of folks and…piles of chili peppers. 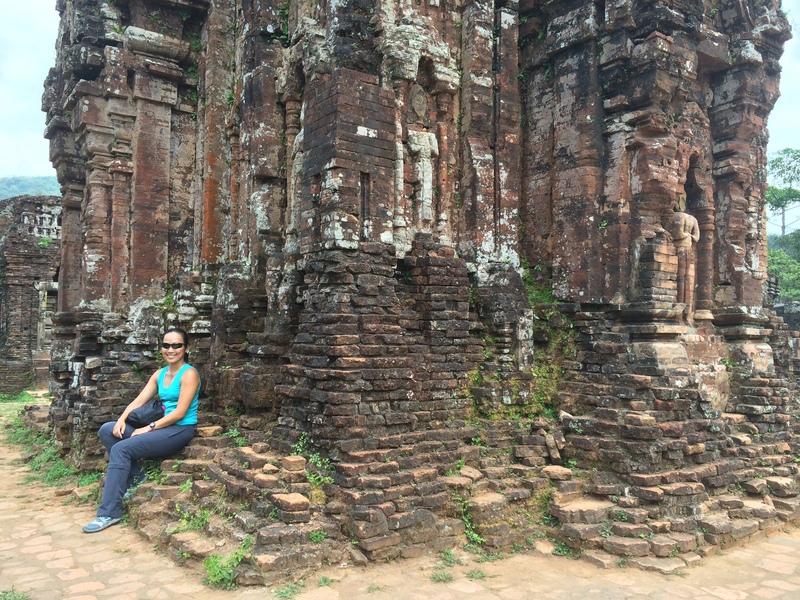 And that concludes our trip in Hoi An!